A wristband is an age-old accessory which used to wear by both men and women since prehistoric time. The bracelet made of bone and shells was a medium to ward off evil spirits and gradually get popular as a status symbol and jewellary. Today, their usage and purpose have expanded more than that. Now, the wristbands are also worn as a fashion symbol, making people aware of a cause and for other symbolic reasons. From the past few years, people are using personalized wristbands as a fashion symbol and complement to their dresses. You can have various varieties and qualities of them matching your different outfits. As an attractive and attention-grabbing accessory, it can fulfill the purpose of an occasion where you are going to wear it. 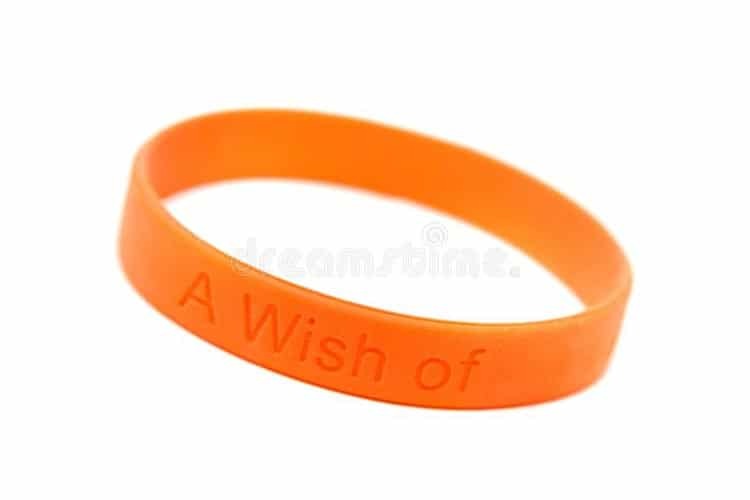 Whether you are wearing an awareness wristband to make people aware about some particular disease or get a charity silicone wristband with engraved messages for a good cause, a bracelet can be a perfect conversation starter in all situations. You can put the desired effect on people through them. If you have your own musical band, you can engrave its particular name over a bracelet and can wear it during your musical concerts or events. This is one the easiest, effective and less costly ways of promoting your band. Make your night party glorious and illuminated through glittering party bands. The glowing light of these bands would dance with the music as well as give bright and colorful effects to your surroundings. Some people find it difficult and uncomfortable to wear accessories on both wrists. If you feel the need for wearing something extra with a wristwatch in a single arm, you can try a custom wristband along with a wristwatch. To complement your formal look, go for subtler colors whereas brighter shades can be perfect for a casual look. Want to get a unique idea to advertise your product in the market? A silicone wristband can be one of the greatest methods to market a product or services. Engrave the name of your company brand with a logo over debossed wristbands and distribute them in your business conferences and trade shows. 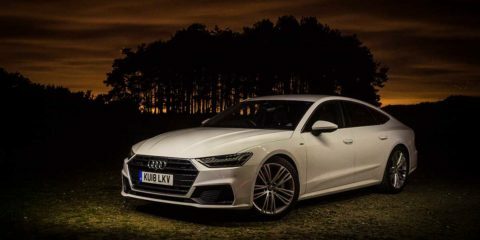 Your business will be automatically promoted to new consumers when people will become walking advertisements wearing the color and logo of your company. Increase the popularity or fame of your event by providing a silicone bracelet to your attendees who could wear it to their heart’s content. People like to have souvenirs to make some event memorable. For the occasions like marriage or birthday celebration, you can use embossed wristbands with engraved names of your guests to give them a personal touch. Use simple plain wristbands to develop a sporting spirit and unity in your team. The different colors of them help the audience identify their favorite sportspersons as well as a winner among them. The waterproof body of a silicon wristband helps swimmers and divers differentiate their numbers and identities from one another without the risk of tearing or spoiling the band. Get bored or feel awkward carrying the same gym cards to a gym? A custom wristband can be a perfect solution for this. It can be a significant tool for getting access to a gym. You can comfortably wear it in your arm and do your workouts without any fear of losing or tearing it. Festivals, fairs, and carnivals are bustling events with lots of people in them. You would find it difficult to have a track of all the people present there. In such situations, a debossed wristband would prove really helpful and can be used as an entry ticket. The other methods such as a paper ticket may lose or worn away any time. But, a wristband-ticket proves durable and reliable during a whole event, alleviating the burden of a security staff. 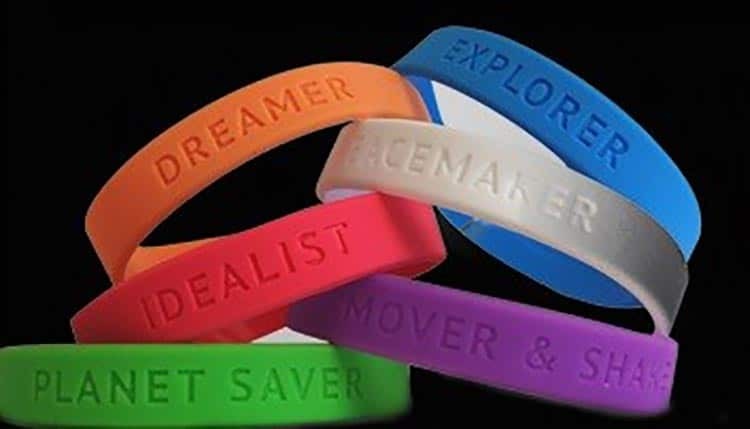 A silicone wristband helps to represent your personality in a most effective way in some social group, party, night club, personal event, or sports function etc. You can bring a significant change in the ideas and ways of people’s thinking through your durable and cost-effective wristband that carries an important message.